Diablo are a new brand that have recently entered the market with the DB1 Spar and DBF BoxFit gloves. 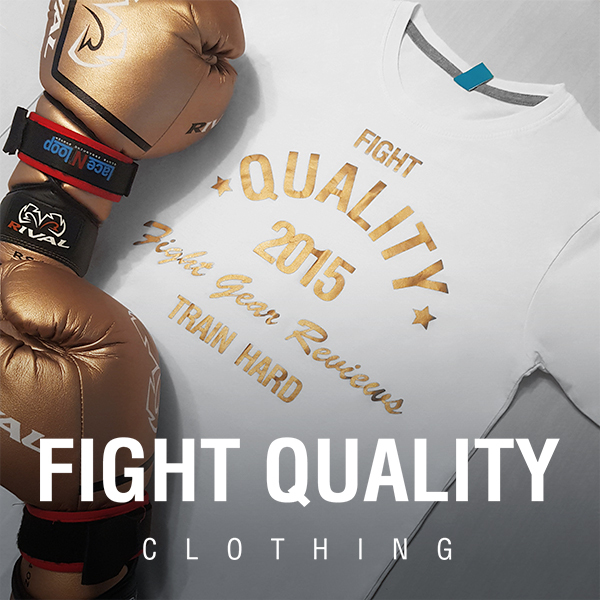 Unfortunately there’s not a lot of information to be found about the brand online (we’ve only seen their products stocked on fightstorepro.com who sorted a pair for us to review) but they’re UK based and aim to provide practical and functional equipment that’s very high quality, without being over designed, that offers exactly the support that’s required for boxing training. The DB1’s are Diablo’s more advanced glove, an all rounder suited for people who use pads, bags and sparring in their training. They come in black or white, both with red and grey detailing, and in 12, 14 and 16oz variations, meaning there’s a size choice for everyone. We were given a pair of these to review by the guys over at Fightstore Pro. Diablo value the function and substance of their products over flashy designs and style, so understandably the visuals of the DB1’s are simple and no nonsense. The body of the glove is your chosen colour, the palm is red with a grey mesh panel and the black wrist strap covers a red panel on the cuff. A stylised ‘Diablo’ is printed in red and grey on the pinky side of the back of the glove, and their devil logo is printed in grey on the back of the wrist. The quality of the printing is high, and overall the glove looks sleek and simple – they achieved their desired effect of being understated very well. We wouldn’t mind seeing a few more colour options, but you can’t really argue that the design doesn’t look good. Diablo have chosen cowhide leather for the DB1’s, using high quality hides to ensure the durability and quality of the gloves, and they don’t show a single sign of wear from the time we’ve been testing them out. They have also chosen to gel injected moulder foam for the padding, which really helps to maximise the protection these gloves offer (on of the focuses for these gloves is the protection they offer, which we’ll mention again with the wrist strap later). This padding is fantastic, and with the 16oz pair we tested this translates to being able to throw shots with serious power and trust that my hand was going to be protected. Finally the inside of the DB1’s has an extremely soft inner lining, designed to maximise the comfort around the wrist and promote moisture wicking around the hand. This combination of great padding and soft innner lining gives you a pair of gloves you can use straight out the bag and they feel very comfortable session after sesssion. There’s not a lot said about how the Diablo gloves are made, which means we’d assume that they’ve been mass produced rather than handcrafted. The craftsmanship is of a good standard; the leather is neatly spread and evenly stitched, though there is a couple of places (the black trim around the cuff on the palm and the red patch under the wrist strap) where the leather is stitched slightly off line, though this is small and hardly noticeable. There is however a fair few stitches that have come loose while we’ve been testing them, which does take something away from the overall quality of the build. These are extremely comfortable gloves, there’s no arguing with that. The hand compartment is tight enough that you feel supported but can get you wrapped hands in easily. The padding, as mentioned above, is fantastic, offering great protection and the inner lining is super soft and makes the glove some of the most comfortable we’ve tried out. The Velcro wrist strap is another area the glove excels in. It’s connected to the wrist of the glove by an eslaticated band, and it’s long enough to completely circle the wrist, attaching on the inside of the wrist. This strap length and the stretch from the elastic are section means they provide some impressive wrist support, a feature that a lot of boxers will appreciate in their training. The DB1’s retail at £85, which is quite reasonable for a leather pair of gloves that offers as much comfort and protection as these do. They’re probably on the expensive side for a beginner looking for a pair of gloves (Diablo have the cheaper DBF BoxFit gloves for this), but they’d be a great choice for someone training more seriously looking for a new pair of gloves.